This month brings some positive developments in the world of green industry mergers & acquisitions, including continued private equity interest in the industry marked by the announcement of a new private equity platform in commercial landscape maintenance and snow management. Although economic uncertainty remains a concern, our sense is that there is a good bit of energy in the marketplace among both potential buyers and sellers as we move into the fall season. This month we bring you a feature article about a young man who has traded his position as an investment banker for the role of landscape business owner. In the article, he shares some background on how he made the decision, how he fared during his first year and his insights and vision for the future. If you are considering a transaction, either as a seller or a buyer, or are simply thinking about your longer-term plans, we’d be happy to talk with you. Please give us a call or drop us an email. We will be participating in several industry events this fall and winter and would welcome the opportunity to met with you at one of them as well. Our calendar is included in this newsletter. Let us know if you’d like to meet, and we’ll schedule a time. In early 2010, I received an email message asking for information about buying a landscape business. That is not an unusual request, and I responded with some of the resources we make available and had a follow-up call. I am always happy to talk with people interested in buying or selling green industry businesses and, over time, this networking process has been profitable for me. Most of these inquiries do not produce any short-term results. This one proved to be a little different, and I thought it would be interesting to share the story. This call came from Jorge Campos of Houston, Texas. A Texas A&M graduate in his late twenties, Campos was working for a large investment banking firm in Houston. His father had owned a landscape business in Houston for many years. Campos had obviously studied the industry a great deal and was strongly considering making an acquisition. I could tell he had it in his blood and was interested in making his mark. Just a few weeks later, I heard from Campos again. He had identified a potential acquisition and asked for our assistance with due diligence and structuring the acquisition. We agreed to the engagement. I flew down to Houston and visited the seller’s offices and met with Campos’s attorney. A couple of months later, the deal was closed and Campos was the new owner of Houston’s Econocuts, a fairly large, residentially-focused lawn maintenance company. In addition to lawn maintenance, Econocuts offer landscape design/build under the trade name Extreme Landscape Makeovers and fencing , decks and minor construction under the name DuraMaxx. While his dad helped him with this transaction, this is clearly Campos’s deal. By the end of the year, Campos was ready to “give up his day job” and provide full-time leadership to Econocuts. He manages the business with an investment banker’s analytical approach. He has big ideas. He wants to expand into commercial maintenance and design/build. The business is largely on the east side of Houston and he would like to expand into other parts of the metropolitan area. Not long after the first acquisition was completed, I received an inquiry from a smaller residential lawn maintenance company which serves another part of Houston. Earlier this year, Campos completed the acquisition of Hillview Landscaping, which was incorporated into Econocuts. I have enjoyed the opportunity to work with Campos. To me, he is a symbol of the new generation of leaders-in-making for the landscape industry. It is also a reminder that some very bright people believe the long-term outlook for the landscape services industry is very positive. I recently asked Campos a few questions about his experiences of the last year and a half. I believe his insightful responses are interesting reading. Q: What attracted you to the idea of owning a landscaping business? A: In actuality, I never envisioned working in the landscaping industry since I grew up doing it in the hot summer days in Houston (as my dad is in the industry). However, as I was working at the bank, I was fortunate enough to meet several business owners and entrepreneurs, albeit in the oil and gas industry. The excitement and attractiveness of entrepreneurship set in, and I was set on one day running my own business. The most logical industry for me was the green industry, due to my experience growing up, the accessibility and the knowledge base that my father provides. Q: What have been your biggest surprises since acquiring Econocuts? A: My biggest surprise has been the ease of the transition (for both the company and myself). Econocuts was the perfect foundation acquisition due to its existing infrastructure and potential for growth. The opportunities that lie ahead for the company are exciting. As for myself, the transition was also easier than expected. I worked in investment banking for five years and was accustomed to having an understanding of what to expect day in and day out. Since I’ve been at Econocuts, I’ve realized that the learning curve is steep, and there is no typical day (similar to investment banking). Also, competition is fierce and when companies are hungry, they will jeopardize margins to stay busy. Fortunately for us, we are diverse, and as some of our divisions have slowed,we’ve seen an offsetting pickup in other divisions. It is crucially important to be able to adjust to the current business environment, and fortunately, we are at a size whereby we can do that quickly. Q: What are your goals for the future – say the next five years? A: Our goal is to double our existing size over the next five years. Our plan is have our portfolio more balanced; ideally it will be split 50%/50% commercial and residential. We have aggressively taken steps to beef up our commercial division and are opportunistically seeking lawn and landscaping acquisitions with a commercial component. In addition, we are building up our other division, DuraMaxx Construction, which builds fences, decks, patio, arbors and pergolas. Q: In your opinion, what are the greatest challenges facing the landscape industry over the next five years? A: A few things I’ve noticed since I’ve been here. For one, I’ve quickly learned that in this industry it is not easy to find the labor willing and able to handle the hard work required. Even in these times of high unemployment, we are still challenged with finding good workers. I don’t anticipate this getting easier in the future. Secondly, increasing government regulation, such as restrictions on spraying certain chemicals, restrictions on watering, etc., pose and will continue to pose challenges for the industry. With the drought in Houston, one thing we’ve seen is an increase in government restrictions on watering. As an industry, it is important that we are good stewards of the environment because ultimately it comes back on us. Some things that we are doing in response are educating customers on efficient watering practices and utilizing more organic type fertilizers. Q: What advice did your dad give you about buying a landscape business? A: He said that it would be one of the most challenging, yet rewarding career moves. Additionally, he cautioned me on the amount of time required and stress level of running your own company. Q: Investment banking is legendary as a stressful business with long hours.  How does that compare with owning your own landscape business? A: I think it was a good preparation for what I’m doing now. The stress level is high here as well as the hours (I’m responding to these questions at 11pm on a Wednesday) but in a different manner. As opposed to pulling all-nighters to have books ready for a meeting, I spend my time looking at numbers on commercial bids we submit and other large projects, stressing over where things can go wrong, how much of an effect that would have and how to best position our company for accomplishing the work. Q: What advice would you give other young people thinking about entering the industry? A: I’d say that, although it can be stressful and a lot of hard work is required, it is extremely exciting. I never thought I would find myself doing this, but I have significantly enjoyed my time here. The challenges are different each and every day. Also, it is important to be surrounded by experienced people and folks that want to see you succeed. My father gives me 25+ years of industry insight that I would not have. He’s seen practically every question I throw at him. I suspect we will all be hearing a lot from Campos in the years to come. I feel sure it won’t be too many years before his business appears in one of the Top 100 lists. I will be proud to have known him and to have worked with him when he first started out. In a new demonstration of private equity interest in the industry, L2 Capital announced that it has launched its commercial landscaping and snow removal platform by facilitating the merger of New Jersey-based Lipinski Outdoor Services and Pennsylvania based R.E.I.T./M&H Services. Lipinski ranked 22 on the 2011 Landscape Management 150 with approximately $42 million in revenues. In yet another private equity-backed transaction, Denver-based Terracare Associates, Ltd. has acquired Cimarron Landscape of Sacramento, California. Terracare’s existing operations are in Colorado and Northern California. With $24,500,000 in revenue for 2010, Terracare ranks 41 on the Landscape Management 150. Its financial partner is Progress Equity Partners, Ltd. The Davey Tree Expert Company has completed the acquisitions of Complete Tree Service of Toronto, Ontario, Canada; Osborne Brothers Tree Service of Mentor, Ohio; and Marshall’s Tree Service of Orlando, Fla.
Davey is the fourth largest company in the lawn and landscape industry. It is the eighteenth largest employee-owned business in the U.S. according to the National Center for Employee Ownership (NCOE). In a sad postscript to an extraordinary industry story, Florida-based Vila & Son has ceased operations after being unable to find a buyer or investor. The Vila story began with the 1980 Mariel boat lift from Cuba. Juan Carlos Vila and his family immigrated to the U.S. and found jobs in the green industry. Within a year, they founded Vila and Son, which grew to be one of the largest Hispanic-owned businesses in the United States. Last year, it ranked number 17 on the Landscape Management 150. Vila’s heavily construction-oriented business was seriously affected by the economic downturn in Florida. Earlier this year, the company named a chief restructuring officer and attempted to find a buyer or investor, but those efforts were unsuccessful. We’ll be at the Breakfast of Champions each day and are also available for appointments. We’ll be speaking at 8:00 am on January 9 and will also be available for appointments. If you are attending any of these events and would like to meet, please give us a call or send us an email to schedule a time.